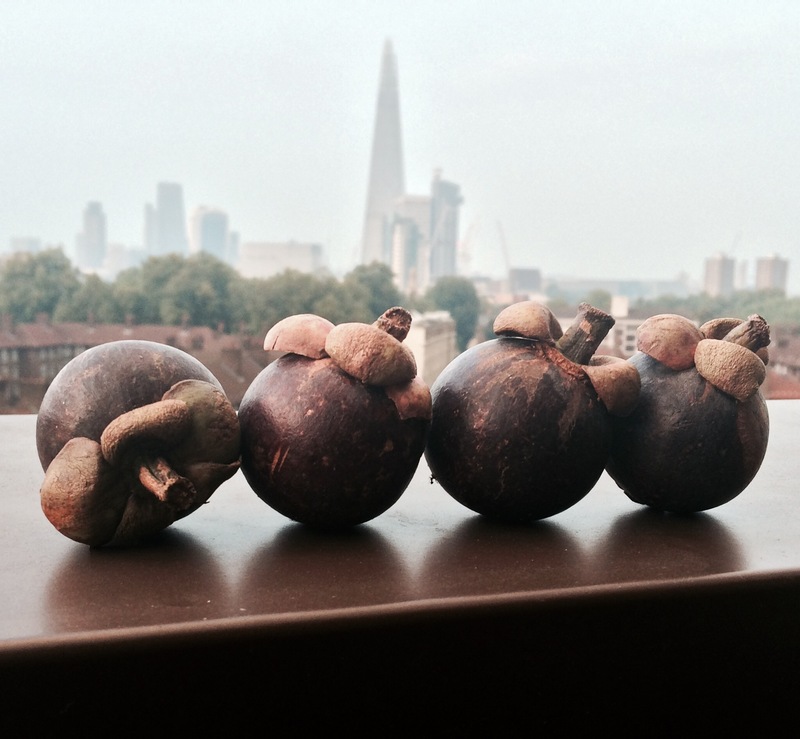 Mangoosteen are an unusual looking tropical fruit with a thick, purple skin and soft, sweet white flesh, similar in taste to a lychee. 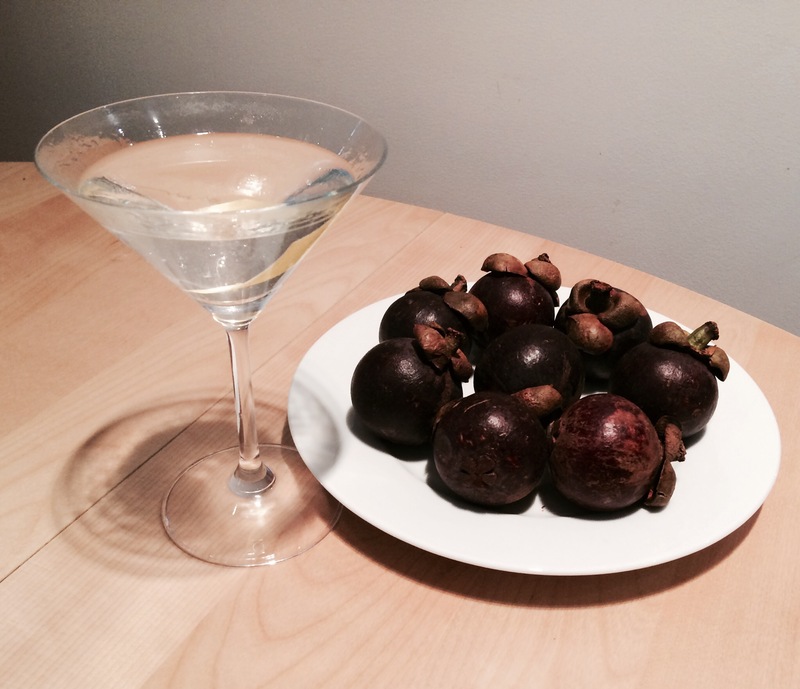 In order to make a martini out of them, I followed a very simple formula similar to a Lychee Martini. 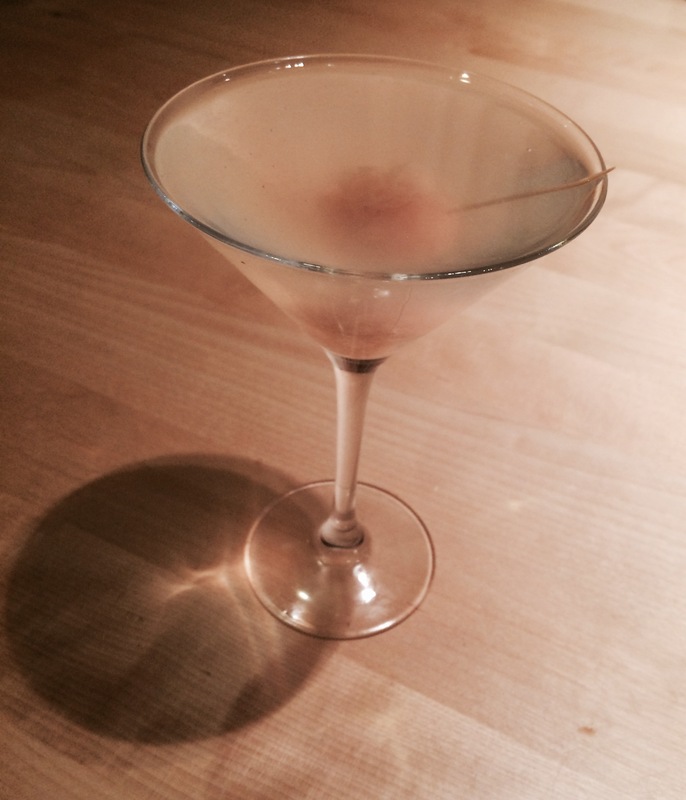 It’s sweet and not as strong as a full martini. Did I mention I love mangoosteens? You could even have them as an accompaniment to a normal martini.